Welcome Stock donors high daughters! 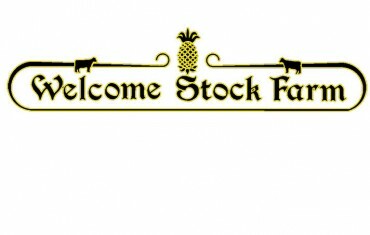 Welcome Stock have updates on their Donor Profile. Including Welcome Modesty Tetra VG-86, a Modesty direct daughter to Ms Welcome Uno Tarina VG-86 x Colby TAYA! She has already proven to make them high. With a +2889G / +2.87PTA TYPE Maverick daughter on the ground... Also added to their donor profile is Welcome Delta Lauralynn, she has been producing high daughters. With a +2817G Roland daughter and a +2700 early Skywalker daughter on the ground. Would you like to learn more about Welcome Stock's donors? 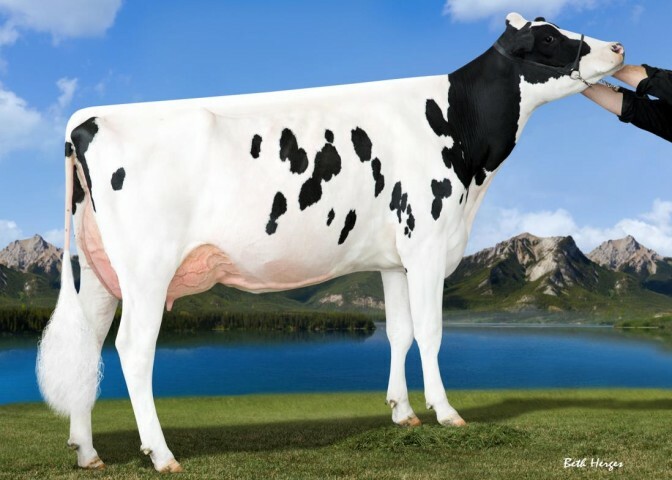 Selling as Lot #14 in the World Classic Sale is a +2863GTPI / +3338GLPI Frazzled daughter that goes back to the EX-95 2E GMD DOM Snow-N Denises Delia! Exciting Gatedancer from Windy-Knoll-Family SELLS! Selling at the Genetic Fiesta Dos Sale, Friday May 5th is an exciting GTPI+2803 Gatedancer daughter from the Windy-Knoll-View Family. Welcome-Tel Gtdncr Paleo is consigned by Welcome Stock Farm and David Chlus and is the #3 Gatedancer in the world and the highest Gatedancer for Feet and Legs Composite! Don't miss this exciting lot in the Genetic Fiesta Dos Sale. Modesty still is the #1 GTPI Young Sire with NAAB code and before December 1, 2015. 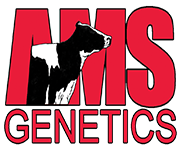 Welcome Stock Farm is sending some of its finest genetics to the National Convention Sale. Four elite offerings directly from the Welcome Stock program are selling. Lot 25G is an Early +2725G Alltime daughter from the Aaron Penel family that also scores +824 NM$ and over 2 points on UDC, FLC and PTAT. Lot 26G is a ready to IVF GTPI+2620 and +73P Supershot daughter out the VG-86 Welcome Miles Paige from a 10 generation of EX and VG family. And she is ready fo IVF! From the Buttercup family (Lot 40G) is selling a +2671 GTPI Modesty daughter that has two full brothers (+2802G & +2708G) going to Select Sires and selling as Lot 41G is one of the highest Red heifers in the bred. Bacon-Hill Ald Raive-Red GTPI+2492 who is backed by the Roxys and offers an unique sire stack for RED! Bacon-Hill Modesty remains the #1 GTPI sire in the breed with an NAAB code scoring GTPI+2850. CLICK HERE for the complete Top 50. Bacon-Hill Modesty tops the GTPI charts in December with a dazzling +2854 GTPI! Modesty was bred by Welcome Stock Farm and Tom Kugler. CLICK HERE for the Top 50 GTPI Young Sires with a NAAB code. Ms Welcome Colby Taya the Very Good-88 Colby daughter with numerous sons and grandson in A.I. including TANGO, TUFFY, TATUM and more has earned GMD status. Congratulations to owners Welcome Stock and Peter Vail. Welcome-Stock Farm had an exciting classification recently with several new VG and Excellent Bull dams. 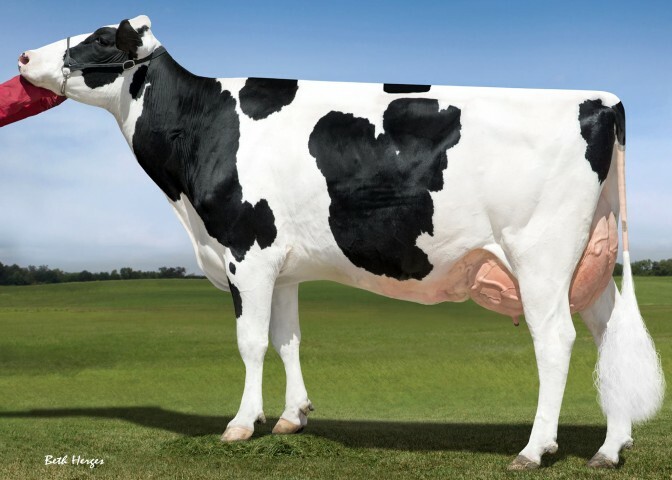 Unique-Style Bolton Money is now EX-93, Money is the dam to Bacon-Hill Montross at Select and also had daughters by Supersire and Numero Uno scoring VG! Other higlights include the full sister to Coyne-Farms Srock Mack scoring VG-88 in her second lactation and Welcome Shamrock Leona scoring EX-91 in her second lactation. 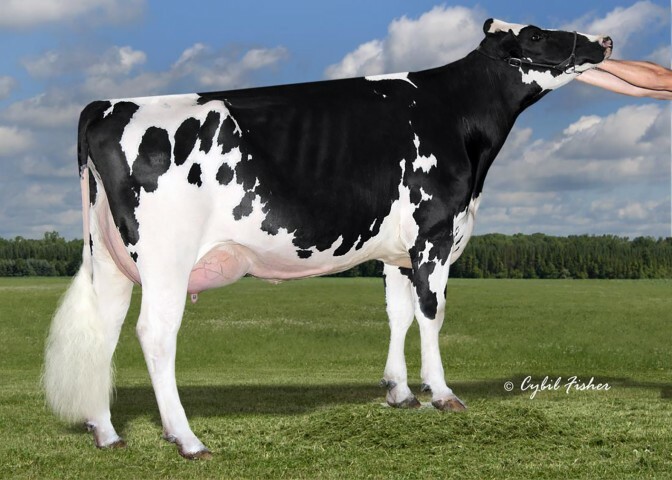 She is fresh with her second calf, Bookem Paisley hails from the tremendous Penel family at Welcoem Stock and is the dam of the one of the highest milking Mogul daughters, Welcome Mogul Patts, GTPI+2559. You can now vote for Bookem Paisley as your favorite Bookem daughters. READ MORE. Several Holstein Plaza members are selling exciting calves tomorrow at The Empire Summer Holstein Blast. CLICK HERE to find out what Holstein Plaza members are selling. Several Holstein Plaza members are selling some exciting heifers and cows tomorrow at the Virginia Sale of Stars 2014. 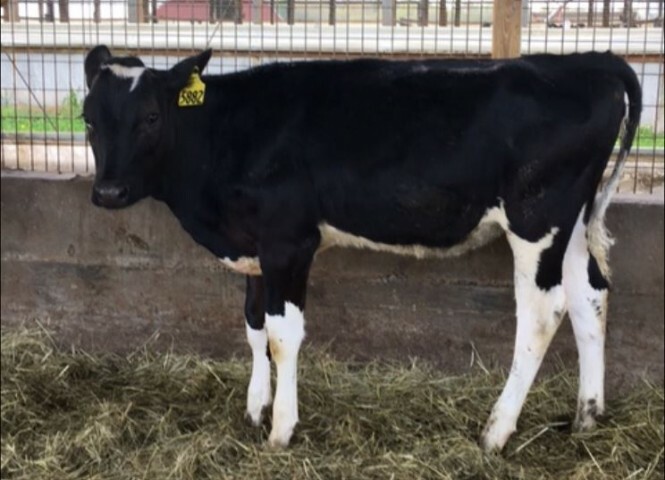 The Sale of Stars start at 5:00 PM EST at the Rockingham County Fairgrounds in Harrisonburg, VA. CLICK HERE to find out which lots Holstein Plaza members consigned. An unique Polled heifer from Welcome-Stock Farm will sell tonight in the World Classic Sale. Welcome Parker-P With-ET scores GTPI+2290 and is a Parker daughter from Welcome Man-O-Man Walton VG-85. Whit-ET has a GTPI+2414 Shamrock son at Select Sires. Welcome Goldwyn Penya daughters score high! Recently classified two-year-old daughters of Welcome Goldwyn Penya score very well including some early Bowser and Domain daughters! Selling in the National Convention Sale from Welcome Stock Farm is a high health trait Gold Chip daughter (Lot 19) with a GTPI of +2345 +814NM$ +7.7PL and backed by the Aaron Penel family! Also selling from the outcross Penel family is a +2253 GTPI Snowman daughter selling as Lot 69. An EARLY Freddie daughter at Welcome-Stock scored back in November VG-85 VG-MS now has a photo! Check out this early Freddie from a VG-86 Bret and then 12 more generations VG or EX! Selling January 20 at the New York Convention Sale is First Choice Female from Welcome Goldwyn Gracie VG-88 with numerous sons in AI. Choose between: 1. Welcome Snowman Gusta-ET +2234 GTPI +634NM 2. Welcome Snowman Gustave-ET +2234 GTPI +625NM or 3. Welcome Snowman Gwendolyn +2203 GTPI +680NM! Exciting new classication updates for Welcome-Stock Farm include 14 new Very Good two-year-olds and two new Excellents carrying the Welcome prefix! +2259 GTPI Iota... complete outcross! May 2011 +2259 GTPI Iota sells tomorrow on the Legends of the Fall Sale! Dam is the VG-86-2YR Colby Taya and the deep pedigree continues. Selling in the World Classic Sale on Friday, October 7 is the #2 GTPI Iota daughter +2365G from Colby Taya... Complete Outcross Opportunity! Also selling from Welcome-Stock is the highest tested Snowman +2270G from Welcome Goldwyn Penya VG-89-2YR DOM! 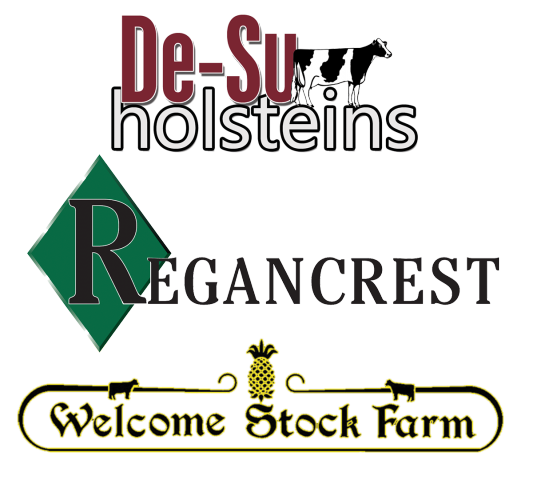 Welcome-Stock sends three tremendous heifers to the International Intrigue Sale, Saturday, July 30 at Blondin Farms! • Jan. 2011 Man-O-Man GTPI+2294 +794NM$, #2 GTPI Man-O-Man on May 2011 run. Dam VG-87 Socrates Synergy +2017 and 2nd dam full sister to Super! 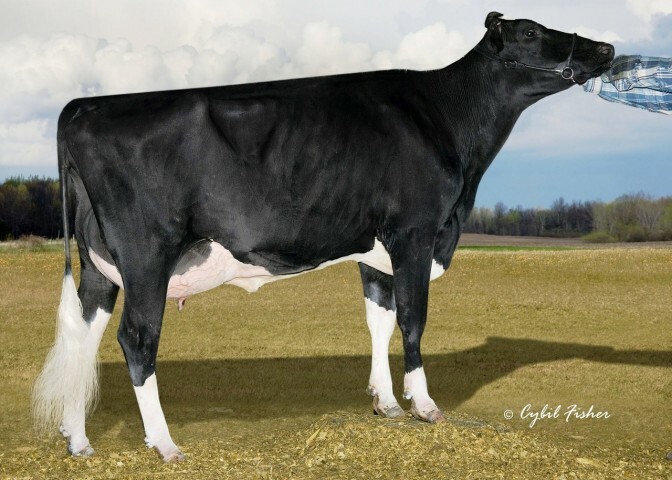 • Feb. 2011 Beacon GTPI+2202 +684NM$ from a VG-87-2YR Planet GTPI+2188... outcross pedigree! • Jan. 2011 Bookem GTPI+2415 +798NM$ +6.3PL +2.97T, the #3 Bookem on the April 2011 run. Dam VG-86 DOM Jose Pansey GTPI+2061. The National Dairy Shrine has named William H. Peck from Schuylerville, NY as the 2011 Distinguished Dairy Cattle Breeder. Peck’s farm Welcome Stock has national and international recognition in producing quality and sought after cattle. Peck has also served on several New York and national boards and committees, such as Holstein Association USA Board of Directors and New York State Agricultural Society Member and Director. He has shown great leadership abilities and the insight to use innovative breeding ideas. The #6 GTPI Ross daughter sells! Selling on the National Convention Sale is the #6 GTPI Ross daughter from Supers family, Welcome Socrates Synergy! Tested free of brachy with +2264 GTPI +797NM$ and 6.7PL and sells with numerous contracts. Selling tomorrow on the Pride of Woodlawn Sale is an Aug. 2010 Super GTPI+2153 from a VG-88 Burt x EX-90 Finley Clarisa x Christina VG-87 GMD DOM! #1 GPA LPI Observer +2880 and from outcross family. Dam by Socrates and 2nd dam is full sister to Super! RED Secure daugher from the Roxys! 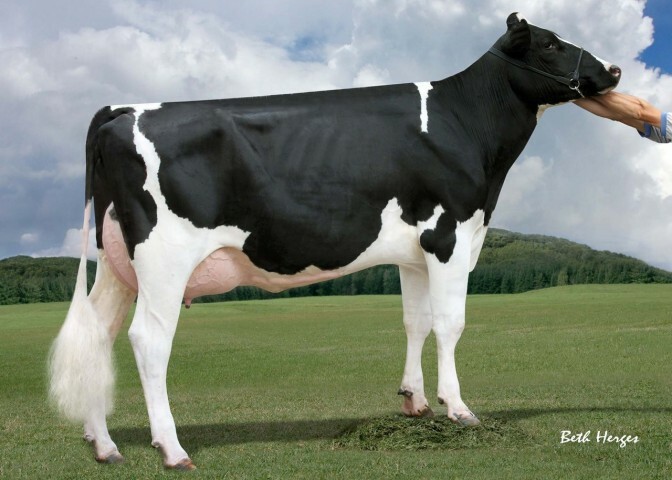 Unique-Style Bolton Money is the #2 Milk and #2 Protein Cow of the Breed and the #6 GTPI Cow of the Breed - April 2011. Check out Bolton Money's donor page!